The ministry called on the international community to boycott products originating in Jewish settlements. “Blocking the settlements’ goods emphasizes the international resolution about the illegitimacy and illegality of the settlements that were built on occupied Palestinian land,” Naji said. 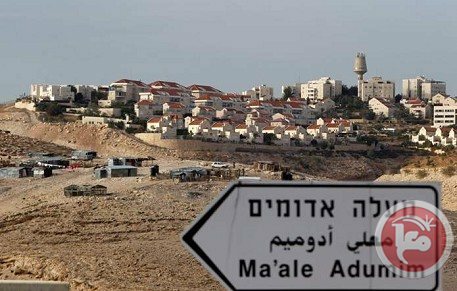 It warned that Israel may hide the real information on the settlements’ products and promote them as goods made in Israel, not in the settlements. 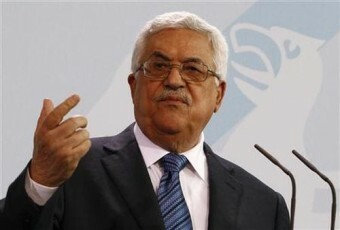 The campaign against settlements products, which was launched in 2010, is backed by a law signed by Palestinian President Mahmoud Abbas. The new law states that anyone who deals in products produced in settlements will be imprisoned for two to five years and pay a fine of up to $14,000. 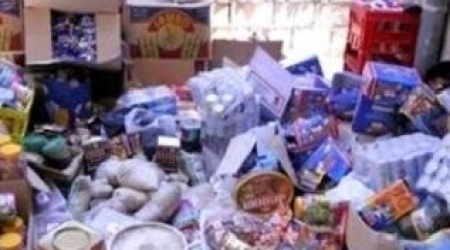 Those who import settlement products into the Palestinian territories are threatened with three to six years, fines of up to $3,000, and the confiscation of their licenses and vehicles. The PA hopes that the boycott will encourage the international community to adopt a stronger stance against settlements while helping end the Palestinian economy’s dependence on Israel. In addition to forcing Israeli factories in West Bank settlements to shut down or relocate inside Israel, the campaign is deterring other Israeli businesses from moving to the West Bank industrial zones, which were originally set up to be closer to Palestinian laborers, many of whom are denied permits to work inside Israel. Rihanna sang before a crowd of 50,000 in Tel Aviv at Israel's largest performance venue, Yarkon Park. Fans paid $100 and up for Tuesday's show. Rihanna's trip to Tel Aviv is part of her "Diamonds" world tour that she started three weeks ago and her second performance in Israel. Haaretz daily newspaper reported that Rihanna in "Pour it Up" instead of "All I see is signs/ All I see is dollar signs," she inserted in "All I see is Palestine." During her performance, Rihanna only mentioned "Tel Aviv" when addressing the audience but not once mentioning the word Israel. Rihanna came to Israel despite a campaign by the Boycott, Divestment and Sanctions (BDS) movement to convince her to cancel her performance. She arrived early Tuesday afternoon, after performing in Abu Dhabi, United Arab Emirates. In a Related context, Rihanna were asked to leave Abu Dhabi Mosque after taking inappropriate pictures. She posted a picture showing her wearing a hijab, but posing provocatively with bright red lipstick. "Today’s battle is BDS – the boycott, divestment and sanctions campaign being waged against Israel. Significant efforts are being invested by the government and pro-Israel organizations to fend off BDS,"
"This week I discovered that in the Israeli embassy in London alone, there are two people (one diplomat and a local employee) whose full-time brief is to monitor and counter BDS attempts,"
"Apparently the Foreign Ministry with its diplomatic corps is not enough and Prime Minister Benjamin Netanyahu has added fighting BDS to the responsibilities of Strategic Affairs Minister Yuval Steinitz,"
This revelation followed a decision by Benjamin Netanyahu earlier this year to hand responsibility for fighting BDS to the ministry of strategic affairs. Pfeffer downplayed the importance of the Palestinian campaign “BDS has failed to create any form of pressure on Israel to change its policies and has done nothing to dent Israel’s economy,"
In coordination with Israeli officials, the EU is about to introduce a solution that would allow Israeli institutions — which are invested in or profit from the occupation — to enjoy EU grants, according to a report in the Israel’s Maariv newspaper (Hebrew). The new directives will enable Israeli companies and institutions to divert money into investments in the settlements and in Jewish enterprises beyond the Green Line through subsidiaries or divisions, all while receiving EU grants through their main operational budgets. If implemented, the new mechanism would allow Israel to join the prestigious Horizon 2020 program, which should result in 300 million euros of support to Israeli scientific and academic institutions. Last July, the EU published a Commission Notice regarding EU grants, prizes and programs in Israel and the occupied territories. The most important article stated that, “Israeli entities will be considered eligible as final recipients [of grants and prizes] if they do not operate in the territories [conquered on June 1967].” According to the guidelines, Israeli institutions that applied for EU grants would be required to declare that they do not operate beyond the Green Line (read the full guidelines here). The guidelines are not binding for EU member-states and do not apply to individual Israeli citizens. The Commission Notice received much attention in Israel and was perceived as the first actual step against Israel’s colonization of the West Bank to be taken by the international community . A special ministerial panel headed by Prime Minister Benjamin Netanyahu decided to reject the new guidelines and enter into negotiations with the EU seeking a mechanism that would allow Israeli entities to continue receiving grants while operating beyond the Green Line. 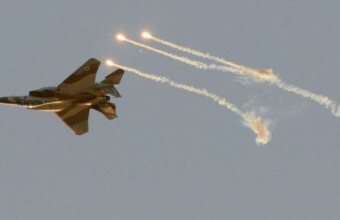 Specifically, the talks were meant to find a way for Israel to join the Horizon 2020 program. In recent weeks, right-wing officials predicted that Israel’s insistence would bear fruit and that both sides will be able to reach a “compromise,” which will allow Israel to operate freely in the West Bank and allow European political and bureaucratic officials to save face by not forcing them to completely abandon their decision. 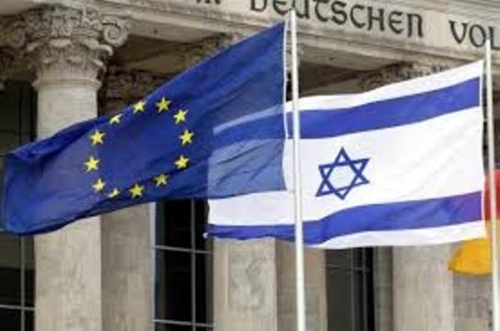 According to the report in Maariv, two major changes will be entered into the guidelines: first, Israeli institutions will not be required to state that they do not operated beyond the Green Line when applying for EU grants. Instead, it will be the EU that will need to monitor and find proof that an institution is operating in the occupied territories. Second, the institution will continue to operate freely in the settlements, as long as its headquarters is in within the Green Line. According to Maariv, the specific details of this understanding are still being debated: while the Israelis are suggesting that a company’s zip code will be enough to determine the location of its operations, the Europeans are demanding the registration of a sub-contractor that will operate beyond the Green Line. This article was originally posted on +972 Magazine. All Israeli settlements in the occupied West Bank are considered illegal under international law. Even before they are set to begin, the new EU guidelines against the Israeli settlements on the West Bank are already biting. While few in Europe took notice of them when they were issued in mid-July, they created a political storm in Israel. The new guidelines prohibit grants, prizes or funding from the EU to the settlements in the West Bank, East Jerusalem or the Golan Heights. Most significantly, however, they also include a clause stipulating that these areas are not part of the State of Israel. In other words, in future agreements between the EU and Israel, the new guidelines will actually force the Israeli government to admit that the occupation is illegal under international law -- something no Israeli government, least of all the incumbent -- will ever do. Many on the political right in Israel immediately labelled new guidelines with accusations of antisemitism. In the center, the guidelines were condemned for being one-sided and for not differentiating between isolated settlements far into the West Bank and those settlements closer to the Green Line that Israel most likely will keep in a future deal with the Palestinians. Only on the far left in Israel were the new guidelines welcomed as an ever-more tangible sign of the costs of continued occupation. Palestinian commentators, for their part, were generally supportive of the guidelines, although many saw them as too little, too late. The Israeli government has responded that it will be unable to sign the upcoming 80 billion euro Horizon 2020 research project, set to begin in January 2014, if the guidelines remain in place. Israel is the only non-European country offered to participate fully in Horizon 2020, expected to contribute about 600 million euros to the project and receiving more than 1 billion euros in return. 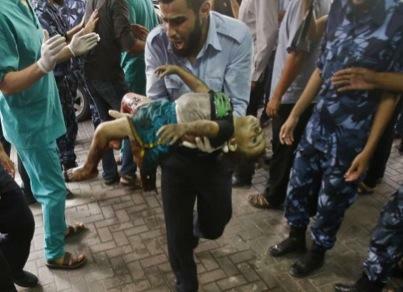 But this is not about money, neither for Israel, nor for the EU. For Israel, this is about legitimizing its hold over the territories it captured in the 1967 war. For EU, it is about delegitimizing the occupation of what it perceives to be Palestinian and Syrian lands. The guidelines, therefore, are the most significant EU action in the Israeli-Palestinian conflict since the 1980 Venice Declaration, which called for a special role for Europe in the conflict, Palestinian self-determination and talks with the PLO. They clearly show the potential for the EU to become a 'player' in the conflict, instead for just writing checks to finance the increasingly irrelevant 'peace process', which has been a long, expensive process without peace for the past 20 years. It is also clear that the guidelines represent a new policy tool for the EU, potentially very effective, as it is hard for a small post-industrialized, high-tech oriented country like Israel to flourish in the 21th century if it is excluded from major international research projects. As such, the guidelines represent a powerful combination of what political scientists call 'hard' and 'soft power'. Perhaps more than anything else, the guidelines show the potential for the EU to exercise its normative and legitimizing power in the conflict - as an example that others will follow. In my own and other's research, it is increasingly clear that the EU is emerging as a normative and legitimizing power in international affairs. The EU is by far the largest bloc of liberal democracies in the world, and its 28 members can collectively legitimize or delegitimize many features of international affairs. Many other states in the world pay close attention to how the EU countries act, vote and speak in various international fora. This is certainly the case even in the Israeli-Palestinian conflict, where the EC/EU successfully legitimized Palestinian rights in the 1970s, self-determination for the Palestinians in the 1980s, and their right to statehood in the 1990s. While all sides involved in the conflict, including the Palestinians themselves, initially heckled these ideas when they were first issued, they now form a significant part of a future two-state solution. While many have used big words for small things before in this conflict, it may certainly be that the guidelines will change nothing on the ground; either because they in the end will be watered-down or not implemented properly; or because it may simply be too late to roll back the occupation. But the guidelines are a potential game-changer in the over-100-year conflict in the Middle East. Resembling a 21st century Balfour Declaration, they are the first detailed declaration ever by a major international actor on the settlements. This is why Benjamin Netanyahu has been quoted as saying that Israel's failure to stop them represents his country's biggest diplomatic failure since he entered politics three decades ago. (For anyone familiar with Israeli politics, that says a lot). It may well be that Jan. 1, 2014, when the guidelines go into effect, will be remembered as the day when the settlements began to be delegitimized on a large scale. The author is a political scientist at Lund University, Sweden. He has recently defended his PhD thesis on the role of the EU in the Israeli-Palestinian conflict. A shortened version of this analysis was recently published in European Voice. Visiting Tel Aviv, Greek Finance Minister, Evangelos Venizelos, stated that his country “supports the Israeli position regarding settlement products”, and will help Tel Aviv in easing the decision of the European Union regarding boycotting those products. The EU recently decided to ban products made in Israeli settlements in the occupied West Bank, as settlements are illegal under International Law. The statements of Venizelos came during a meeting with Deputy Israeli Foreign Minister, Ze’ev Elkin. He told Elkin that he discussed the issue with the High Representative of the Union for Foreign Affairs and Security Policy for the European Union, Catherine Ashton. Israeli Wallah News Agency have reported that the Greek position holds a great significance, especially when taking into consideration that Greece will head the EU starting January of next year. In related news, several former EU Ministers demanded the EU to insist in keeping the sanctions on Israeli settlement products. The sanctions are on products made in Israeli settlements in the occupied West Bank, occupied East Jerusalem and the occupied Golan Heights. 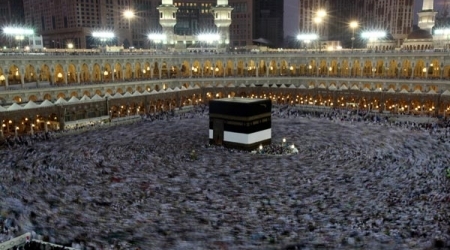 G4S has won contracts to offer security services to Muslim pilgrims in Makkah for the next year. The National Committee for Boycott, Divestment and Sanctions against Israel has called upon Saudi Arabia to stop dealing with G4S because the security company is involved in Israel's violations of human rights in the occupied Palestinian territories. According to the BDS Committee, G4S has won contracts to offer security services to Muslim pilgrims in Makkah for the next year. 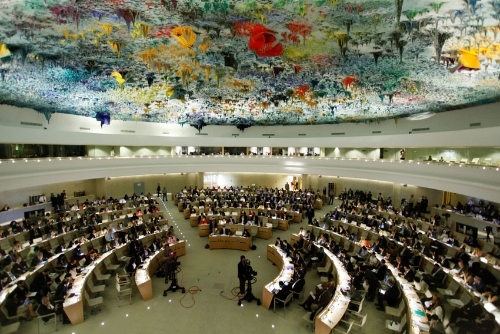 The Committee affirmed its belief that the British company is complicit in maintaining the Israeli occupation. It accused G4S of supplying "torture equipment" used by Israeli investigators on Palestinian prisoners inside the Zionist state's jails, including children. Many Palestinian and international human rights organisations have proved that G4S is involved in human rights abuses based on evidence that it supplies the Israeli occupation authorities and illegal Jewish settlers with equipment used in violating the rights of Palestinians. Other organisations lobbying for justice for the Palestinians, including Britain's Friends of Al-Aqsa, have also written to the Saudi authorities calling on them to cancel the G4S contract. After a campaign beginning more than six years ago, activists with the global Boycott, Divestment and Sanctions movement have declared a major victory this week, when the French transportation company Veolia Transdev (partially owned by environmental services company Veolia Inc.) sold off its bus lines which operate in the Israeli-occupied Palestinian Territories. Veolia remains a target of the boycott and divestment campaigners, however, as the main owner/operator of the Tovlan Landfill, and the provider of wastewater services to the illegal Israeli settlement Modi’in Ilit. The activists began targeting the company when Israeli supporters of the movement researched the owners of the segregated bus lines that run from Israel into the settlement colonies constructed throughout the West Bank and East Jerusalem in contravention of international law. These buses are 'Jewish-only', and Palestinians who attempt to ride on them are arrested. The Israeli activists published their findings on the website http://www.whoprofits.org, and global activists began to protest the French parent company, as well as the subsidiary that owned the bus lines until it divested this week. Although no reason was given for the sale, activists with the BDS movement say that they believe it was the years-long international pressure campaign that pushed the company to divest. 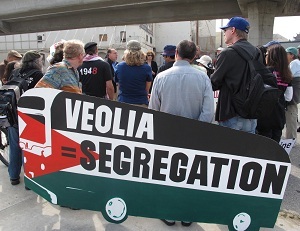 The campaign writes on their website, http://www.bdsmovement.net, “In the U.S., member groups from Los Angeles to Boston have taken Veolia to task in their city councils and municipal departments. 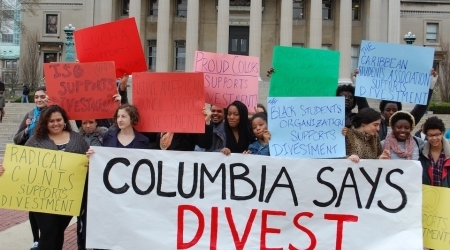 Peace-seeking Quakers achieved divestment from Veolia, while member groups in Yolo and Sonoma Counties, CA, and St. Louis, MO celebrated local victories and major breakthroughs catching the attention of Israeli officials, Veolia headquarters, mayoral candidates, and popular media. The global Boycott Divestment and Sanctions movement aims to use economic pressure to get the Israeli government to adhere to its obligations under international law, and end the military occupation of Palestinian land, and the transfer of its civilian population into illegal settlements constructed on stolen Palestinian land. The movement takes its inspiration from a similar campaign in the 1970s and 80s focused on the discriminatory and racist system of government in South Africa at the time, known as 'apartheid'. The anti-apartheid movement included an economic boycott of companies invested in the apartheid system, as well as an academic, cultural and sports boycott, in which academics and athletes from South Africa were shunned at world events. This pressure campaign contributed to the downfall of the apartheid regime, which ended in 1994. South African activists are among the leaders of the current campaign to pressure Israel to end its discriminatory policies against the indigenous Palestinian population. These activists say that they see many parallels between the 'whites-only' policies of the South African apartheid regime and the discriminatory policies of the Israeli government. 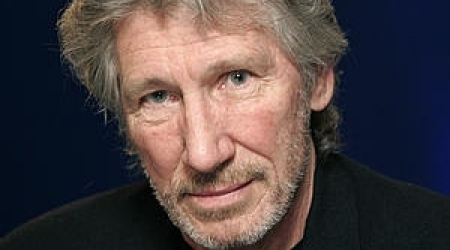 Pink Floyd's Roger Waters asked musicians to boycott Israel, in an open letter to his Facebook page and the Palestinian activists website Electronic Intifada. "I write to you now, my brothers and sisters in the family of Rock and Roll, to ask you to join with me, and thousands of other artists around the world, to declare a cultural boycott on Israel," he wrote. "Please join me and all our brothers and sisters in global civil society in proclaiming our rejection of Apartheid in Israel and occupied Palestine, by pledging not to perform or exhibit in Israel or accept any award or funding from any institution linked to the government of Israel, until such time as Israel complies with international law and universal principles of human rights," he wrote in his letter. 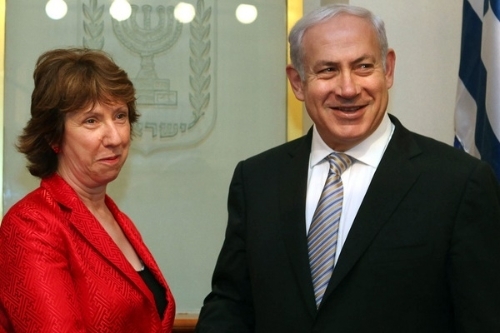 Waters has been a frequent advocate of the Boycott, Divestment, Sanctions movement regarding Israel, encouraging institutions to withdraw investments there, among other tactics. Former leaders and senior officials from European Union member states have called on the body to stick to its new guidelines banning all EU members from funding Israeli projects in East al-Quds (Jerusalem), the West Bank, Gaza Strip, and the Golan Heights, all areas occupied by Israel in the 1967 war. A letter, dated September 16, was sent to Catherine Ashton, EU foreign policy chief, and to all EU foreign ministers calling on the EU not to soften or delay new settlement guidelines slated to take effect on January 1, and in particular to ensure they apply the guidelines to Horizon 2020. 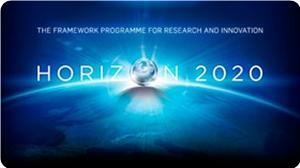 Horizon 2020 is a 80 billion euro R&D project, in which Israel's involvement has recently been called into question. The group includes former NATO secretary-general and EU foreign policy chief Javier Solana and former Spanish foreign minister Angel Moratinos, former French Foreign Minister Hubert Vedrine, and former British Ambassador to the UN Jeremy Greenstock. It's worth noting that US Secretary of State, John Kerry, has urged the EU to postpone its plan to ban the funding of Israeli projects in the occupied territories. Ashton said, in response to Kerry's urge, that the guidelines were simply "putting down on paper what is currently the EU position," adding that, the EU will be sending a team to Israel to ensure the guidelines are implemented "sensitively." Over 500 academics, including researchers from 13 European Union member states, have today written to the EU’s head of Foreign Policy, urging the EU not to water down its new guidelines preventing EU funding from being awarded to Israeli projects and entities in the Occupied Palestinian Territory, including East Jerusale. The “Letter by academic researchers to the EU regarding the participation of Israeli settlements in EU research programs” has been organised by the British Committee for the Universities of Palestine (BRICUP) and its French sister organisation the Association des Universitaires pour le Respect du Droit International en Palestine (AURDIP). The EU recently announced new guidelines that should prevent Israeli universities, companies and projects based in settlements from receiving EU funding. This important policy change is the result of grassroots campaigning across Europe, including a letter to the EU foreign policy chief Catherine Ashton signed by 250 academics from across Europe last year. The intention of the guidelines is to ensure that the EU’s own institutions respect the obligation not to recognize Israeli sovereignty in the Palestinian territory occupied by Israel since 1967, including the Palestinian West Bank, East Jerusalem and Gaza Strip as well as the Syrian Golan Heights. 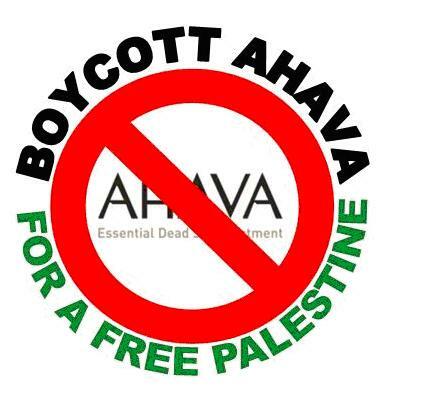 The new guidelines have been welcomed by students and conscientious academics in Palestine and Europe who have been campaigning against EU-funded joint projects between European universities and illegal settlement companies such as cosmetics firm Ahava.Ahava Dead Sea Laboratories Ltd, whose factory is located in the illegal Mitzpe Shalem settlement in the occupied West Bank, has participated in five projects under the current Framework Programme 7 (FP7), and is even the co-ordinator of two of them. 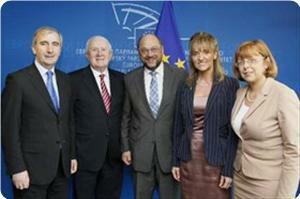 These projects have a total value of €36,033,269, of which the EU has contributed €25,245,718. Now Palestine solidarity organisations fear that Israel and the US are applying pressure on the EU to drop the new guidelines, or to water them down to the point where they become meaningless, ahead of negotiations on Israel’s participation in the upcoming Horizon 2020 EU research funding program. John Kerry has called for the guidelines to be dropped and a US official has claimed that there is an “openness” to this request among EU officials. The intensive round of talks between the EU and the Israelis about Israel’s participation in the Horizon 2020 programme opens this Thursday September 12th. We are writing to you with regard to the guidelines published recently by the EU on the eligibility of Israeli bodies for EU financial support which are designed to prevent projects in illegal Israeli settlements from receiving funding from the European Research Council and the forthcoming Horizon 2020 EU research funding programme. The guidelines were widely welcomed by researchers and citizens who had been deeply concerned that the EU was encouraging and funding collaboration between European universities and Israeli companies such as Ahava that operate in illegal Israeli settlements. Israeli settlements in occupied Palestinian territory are illegal under international law and their continued existence and expansion lead to severe violations of the human rights of Palestinians. We understand that negotiations on Israel’s participation in the Horizon 2020 program will begin on Thursday, and we have read that you hope to find ways to implement the new guidelines “sensitively”. We have also read that US Secretary of State John Kerry is pressuring the EU to repeal the new guidelines. As academic researchers, many of whom have been in receipt of EU research funding, we call upon the EU to implement its new guidelines in full and to ensure that projects, companies and institutions located in illegal Israeli settlements are not eligible for EU research funding.